Holker Old Park Wood is a caravan site about 9km away. Not sure where Endurance Wireless is from, but I've also picked it up on the Hoad at Ulverston, so probably somewhere round there. 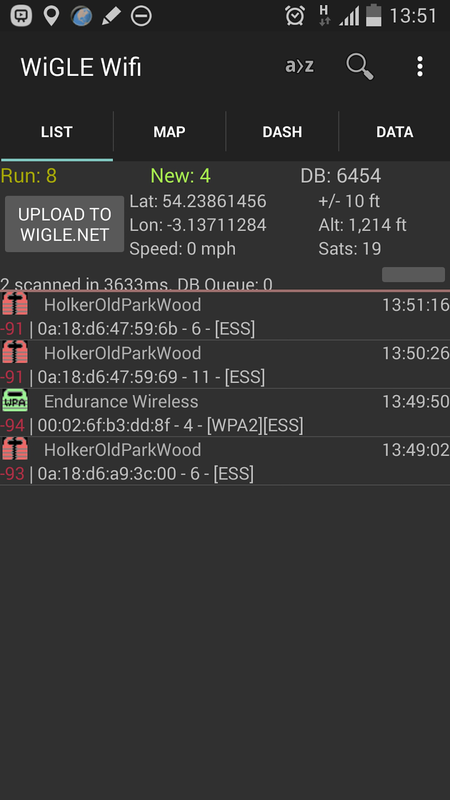 There are so many WiFi access points on these days that you will probably pick something up on most hills, especially with places like caravan parks using high gain antennas to cover the whole site. I was up at Kirkby Moor yesterday afternoon and made 2 summit-summit contacts before the battery in the Puxing PX777 handheld died - I had charged it a while ago but it must have discharged slowly (still showed full battery on the display). So no activator point but some chaser points.